Sony Classical is pleased to announce the release of the original motion picture score album of The Giver. Composed by two-time Academy award-nominee Marco Beltrami, the score for The Giver is available digitally on August 12 and on CD on September 16. Based on Lois Lowry's award-winning and bestselling novel, the highly anticipated film features an outstanding cast including Jeff Bridges, Meryl Streep, Brenton Thwaites, Alexander Skarsgard, Katie Holmes, Odeya Rush, Cameron Monaghan and Taylor Swift. The Giver will be released in theaters nationwide on August 15. 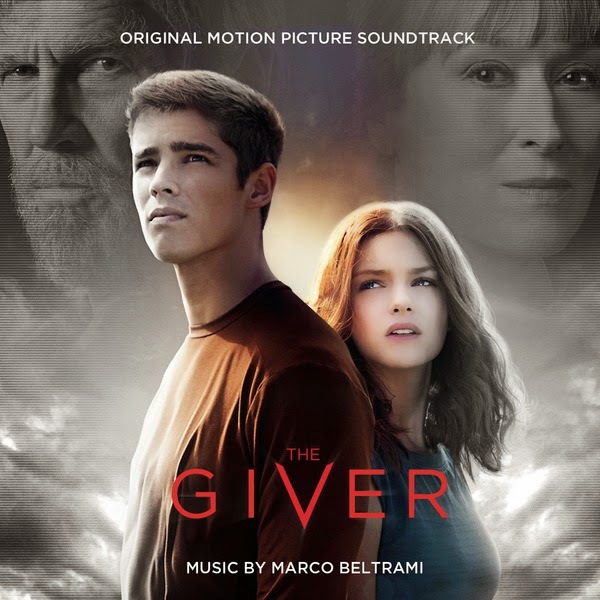 Composer Marco Beltrami’s success in composing the scores for mainstream films like The Giver owes much to his background in concert composition. His mastery of a big range of orchestral effects is evident in this score, which calls for predominantly pensive moods. The album opens with shimmering, ethereal sounds in the main titles, then proceeds with serene themes and orchestration in “Jonas Gets the Gig” and “First Memory”, and a beautiful liquid melody for keyboard in “Color.” These moods change with the stirrings of unease and drumbeats in the track “Happiness and Pain,” while the second half of the album expresses the developing conflicts of the movie with the martial percussion and metallic threat of “War,” the dissonances of “Accelerated Training,” and the excitement of “Escape from the Nursery” and “Capturing Jonas.” The recurrence of motifs and the musical summing-up in the end credits with choral effects and a lovely string solo bring unity and a calming conclusion to the score. Beltrami was nominated in 2007 for his work on 3:10 to Yuma and again in 2010 for his score to The Hurt Locker. He studied at the Yale School of Music and in Italy, before learning the trade of film composition with the great Jerry Goldsmith. Beltrami’s composing career began with the thriller Death Match in 1994. He gained recognition for his work on horror films such as Mimic (1997), The Woman in Black (2012), and all four films in the Scream series (1995–2011). He has also composed two scores for the Die Hard franchise: Live Free or Die Hard and A Good Day to Die Hard, the latter is also available on Sony Classical. The haunting story of The Giver centers on Jonas (Thwaites), a young man who lives in a seemingly ideal, if colorless, world of conformity and contentment. Yet as he begins to spend time with The Giver (Bridges), who is the sole keeper of all the community’s memories, Jonas quickly begins to discover the dark and deadly truths of his community’s secret past. With this newfound power of knowledge, he realizes that the stakes are higher than imagined – a matter of life and death for himself and those he loves most. At extreme odds, Jonas knows that he must escape their world to protect them all – a challenge that no one has ever succeeded at before. The Giver is based on Lois Lowry’s beloved young adult novel of the same name, which was the winner the 1994 Newbery Medal and has sold over 12 million copies worldwide.